Equestria, a large a beautiful kingdom ruled by wise and powerful leaders, and filled with wonderful inhabitance of Earth Ponies, Unicorns, and Pegasi. But these are not the only creatures that live here. There are oh so many more like; Zebra's, Minitours, Dragons, Griffins, and so much more! But where have they come from? What are those places like? Well, Princess Celestia and Princess Luna, have asked that all those willing to explore the world for these new kingdoms and be representives of Equestria! So, are you up to the challenge? Will you go to Canterlot, receive their blessings, and vernture out into unknown lands, meeting new ponies, making new friends, facing dangerous challenges, and making grave enemies? Life is a game, you just have to understand the rules. Free Spirit walked around her house in Manehatten, grown up after the three time travelers saved her from herself and being enslaved in Roam. Her brother had left for work and she was alone at her house, waiting for her marefriend Crystal. Sure Thunder was cute, but she wasnt into stallions since she was the worst kind of slave in Roam to be for a mare, and had lost any interest in stallions. Mares were a bit better anyway, even if Crystal was less like a mare then she looked. Posts: 2074 Microgam3r was in his castle, waiting for Book Worm and Emerald, his friends. Book Worm is smart and brave, yet clumsy and ignorant. 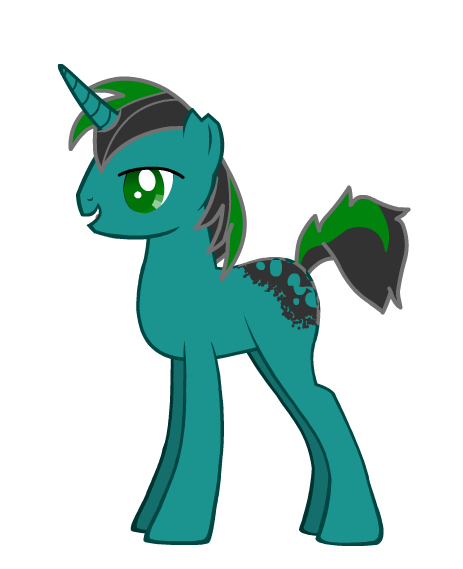 Emerald, who had a crush on Micro since they met, was a scaredy cat, but always sticks with her friends. When they make it, they left to Ponyville. There was the sound of hammering outside the door, maybe just on the other side of the road. It soon stops and, after some heavy trotting moves away, a bit of a commotion begins. Microgam3r was in his castle, waiting for Book Worm and Emerald, his friends. Book Worm is smart and brave, yet clumsy and ignorant. Emerald, who had a crush on Micro since they met, was a scaredy cat, but always sticks with her friends. When they make it, they left to Ponyville. The path was nice and easy, and the weather gave them no trouble. It wasn't long before they made it to the outskirts and the bridge leading into town. They were met with a big crowd, surrounding a billbored at it's center. Spirit frowned as she listened to the sound, before she walked over to the front door and looked out to see what was happening. Micro, Book and Emerald were sitting at a restaurant when this happened. "What's going on?" Micro said, as they walked over. Right across the road on a post, there was a flier surrounded my neiboring ponies. They were making a load commotion about it and she over hear's something about the Princesses needing help with traveling. A pony with tan fur and an hour-glass cutie mark turned around and said, "Turns out that Princess Celestia and Princess Luna are requesting that all willing travelers go to Canterlot for a special mission! There's promise of great adventure and seeing new places! Not to mention there's promise of a big reward for those willing to go." "We volunteer!" Book Worm yells, raising his hand. Knowing this will get them hurt, Micro and Emerald does the same. Spirit frowned and rolled her eyes, why would the princess need help with traveling? She has wings and a horn! She sighed, she hadnt truly been around in the present day for too long, having only been in Manehatten a short few weeks since being dropped off, so maybe there was a good reason. She closed the door behind her as she got closer. The pony looks back at the paper and then back at them. "Well, it says here that if you want to accept the job, you're going to have to make your way to Canterlot. They'll tell you the rest there." A few ponies begin to disperse, but the crowd was still dense. There isn't a very clear view of the flier from the ground, and there weren't too many pegasi around. "If I knew this was going to be a long trip, I would've brought a tent!" Micro joked as he teleported him and his friends towards Canterlot. It was a long trek to the capital of Equestria, but the roads were alway patroled and safe. Not to mention that the city sat upon the tallest mountain in the land, and can be seen from anywhere. There were already a few travelers on the road, not a lot of them, but still a few. Micro, Book and Emerald show up to the castle and walked in.